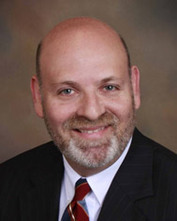 Attorney, mediator, facilitator and trainer Keith Grossman, founder and managing partner of Grossman Law & Conflict Management, will speak on “Conflict Management in the Workplace” at the Rotary Club of Cape Coral Goldcoast at 11:45 a.m. on July 25 at the Gulf Coast Village, Cape Coral. The presentation will help business owners, managers and employees understand and develop skills to effectively prevent conflict and de-escalate existing conflict. They will learn to engage conflict with purpose and goals rather than reacting, to apply mediation skills to achieve cooperation and to build collaborative relationships. To learn more about the Rotary Club of Cape Coral Goldcoast, visit goldcoastrotary.org. The concepts Grossman will introduce at the meeting are available for further study in his recently published e-book titled “What is a Peace Chest?” the first in a series of workbooks providing real-world conflict management theory and application, now available for the Amazon Kindle. Grossman is an engaging speaker who accepts bookings locally, statewide and nationally to talk to corporations, non-profit organizations and professional associations on topics such as conflict management in the workplace. He offers strategies for identifying problematic situations and managing conflict when it arises. In addition to offering ways to improve conflict management, Grossman also illustrates how managing conflict could result in constructive outcomes for employees and the business as a whole.